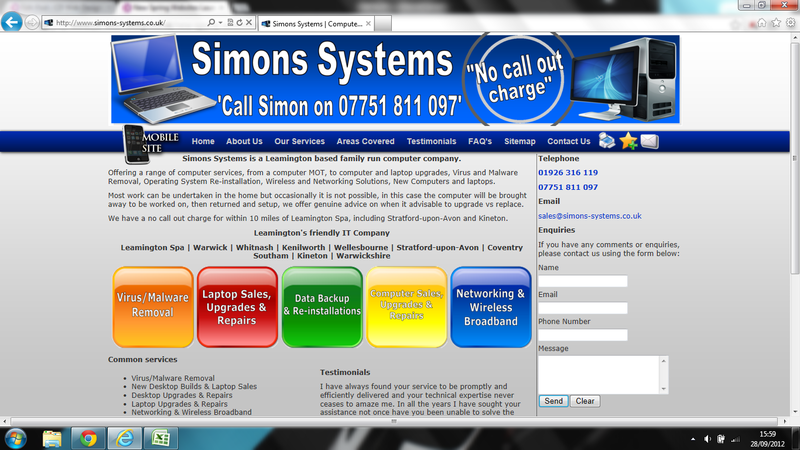 CD Web Design » Anything Else.., Our Latest Sites » Another happy customer.. Simons Systems website and stationery package..
Full Stationery Design including Letterhead, invoice, flyer, business cards. This entry was posted on Sunday, August 5th, 2012 at 6:23 pm and is filed in Anything Else.., Our Latest Sites by CDWeb. Bookmark the permalink. You can follow any responses to this entry through the RSS 2.0 feed. Pinging is currently not allowed.